I often get asked how someone will know if their spouse is hiding income or assets in a divorce. Sometimes it is obvious when a document is discovered or information is leaked by someone in the know. But what if you just have a “feeling” that something isn’t right? In working with divorcing couples, I’ve found that there are often some telltale signs of trouble. A gut feeling with some objective information is often enough to warrant further research and investigation. What are some of the common clues that I have seen to indicate hidden income and assets? We are suddenly poor: The income-earning spouse has an unexplained decrease in compensation and/or you have gone from regularly having extra money to suddenly having a low balance in your bank account. Beware of the possibility that your spouse is deferring income… having commissions, bonuses, or other compensation withheld until after the divorce is over. You thought only people experience identity theft. Only individuals become victims of dumpster diving or poor computer security. Someone gets a credit card in your name, and you’ve become a victim. You didn’t even consider that a company could have an “identity” that could be stolen. 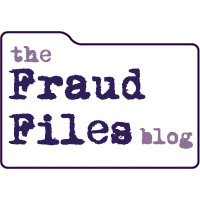 Corporate identity theft is becoming all too common, and one of the most troubling aspects of it is how little owners, executives, attorneys and business advisors know about it. Without a basic knowledge of even the existence of corporate identity theft, people are powerless to prevent it. It can be perpetrated in a number of different ways, but each type of corporate identity theft has one thing in common. It can destroy the reputation of a business quickly. 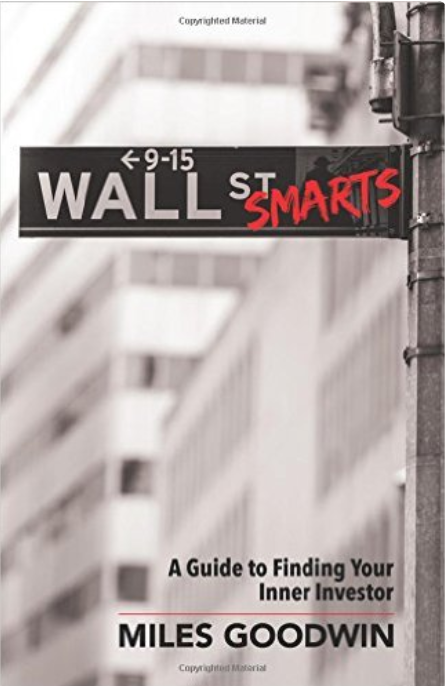 Wall Street Smarts: A Guide to Finding Your Inner Investor, by Miles Goodwin, is masterful compilation of the best investment advice for the average person. The book does the seemingly impossible by pulling together the best investment advice from the best books out there. Mr. Goodwin has done the hard work so you don’t have to. He has taken decades of investment research and experience (as an average person just trying to manage his own money) and extracted the most relevant advice from some of the most knowledgeable authors. Added to this material is a wealth of information he has accumulated over the years. There is little doubt that litigation can be stressful for clients and attorneys alike. With filings, briefs, and deadlines, the litigator has little time to worry about whether her or his expert witness is getting the job done. The attorney usually has one shot for the expert to get the case right. If the expert witness fails, it can have wide-reaching implications for the entire case. Experts aren’t perfect. Mistakes can be made and deadlines can be missed. Pertinent documentation can be overlooked, and erroneous conclusions can be drawn. These can be fatal errors for the litigator. Managing the expert witness is a critical part of litigation. It becomes even more important when the attorney is working with a less experienced expert or one with which she or he hasn’t worked previously. 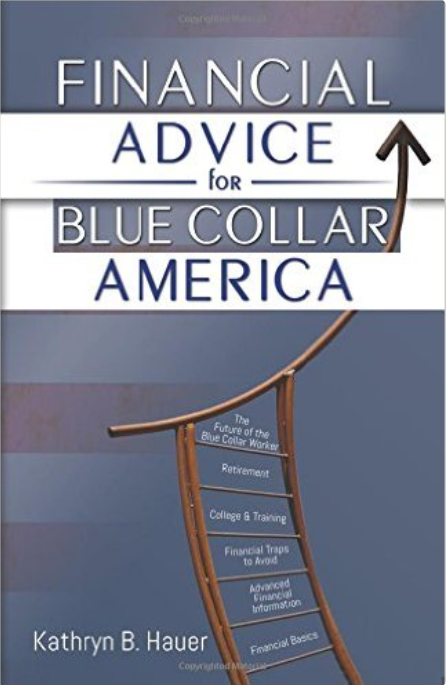 I recently had an opportunity to read Financial Advice for Blue Collar America by Kathryn B. Hauer. The book is positioned as a practical guide for the average American who needs to get straight to the important topics, and the it definitely delivers on that promise. The book starts out with the premise that being a blue collar worker actually CAN offer you an opportunity to gather wealth. Blue collar as used in this book means a job which doesn’t require a college degree, but requires a certain level of skill and training. This includes trades like carpenters, truck drivers, auto technicians, police, and skilled manufacturing workers. A sampling of current annual earnings for these jobs ranges from $40,000 to $82,000, which might be surprising to some. While investigating fraud for more than a decade, I have consistently been amazed by the disparity among criminal sentences in financial fraud cases. Of course, there are many facts that go into a sentencing decision, and so it is difficult to make an apples-to-apples comparison of sentences between cases. However, it’s clear to me that there is a wide range of sentences that are not necessarily fair to either the victims or the fraud perpetrators. We can’t discount the fact that determining a sentence is a complex process. There are many factors that come into play, so simply assessing the number of years at the end of the process is a little simplistic. Firms of all sizes are interested in expanding their practices to include forensic accounting and fraud investigation. Experts agree: This practice area is growing and will continue to grow for the foreseeable future. Yet adding forensic accounting to a firm’s portfolio of services might not be as easy as it sounds. While traditional audit staff might have a good foundational knowledge to branch out into fraud investigation, offering reliable service to clients in this area takes a little more work. While the decision to provide forensic accounting services may seem simple, the next step is deciding specifically which services to provide. There are many types of matters that may fall under the forensic accounting umbrella, and it is important to develop an appropriate focus.